There have been a lot of stories about game-cloning flying around lately, from Zynga's cloning of Nimblebit's popular iOS game Tiny Tower to Spry Fox's lawsuit against 6waves for cloning Triple Town. 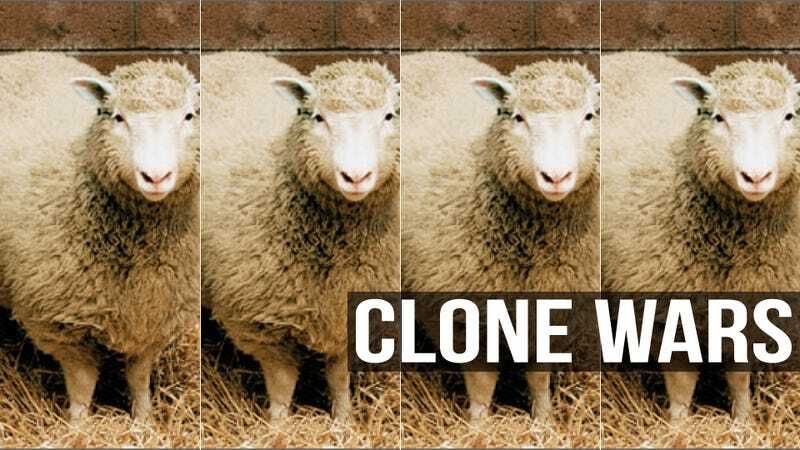 With those stories has come a fair amount of discussion—is cloning a bad thing? Should it be illegal? Where do we draw the line between inspiration and theft? Kill Screen Magazine co-founder Jamin Warren has put together an interesting, nuanced take on the situation. Cloning isn't an entirely bad thing on its own, he says, and if we can continue to increase literacy regarding who is responsible for video game ideas, the financial damage caused by a game-clone will be significantly diminished. Warren begins by pointing out that copyright does not allow for the control of an idea, merely its expression. As an example, he says that you can copyright a song, which is an expression of a musical idea, but you can't copyright "the blues." For games, he uses Scrabble and Words with Friends as an example—the rules of Scrabble are not copyrighted, its look, branding, board and layout are. Where lies a game's entertainment value? Warren speaks on the matter with james Grimmelmann, an associate professor at New York Law School. Grimmelmann points out that games are difficult to copyright, since they exist on so many different levels of expression. Mechanics, in particular, are difficult to patent, because a patent has to express what makes the object in question of value to people. Where lies a game's entertainment value? Most instances of game cloning don't actually involve stolen code—they're simply identical ideas created by designers who played popular games and built their own versions. An exception to this is the whole Spry Fox/6waves Triple Town mess, because 6waves did have access to Triple Town's code before breaking off talks to publish the game. Back to the music analogy, this kind of thing happens all the time with songwriting and composition. Popular chord progressions have been cloned outright for a long time, and players would put their own melodies on top of them to create a "new" song. The chord progression for George Gershwin's "I Got Rhythm" is a prime example—while the song and its melody remain the property of Gershwin and his publisher, the chord progression, now just called "rhythm changes," is one of the post popular in jazz music and has served as the foundation for hundreds of songs since the original was published in 1930. Warren also makes the argument that in some ways, cloning is good for the game industry. "Can you imagine a world in which one could take legal recourse for game mechanics being stolen?" he writes. "That would mean no more platformers after Super Mario Bros., no more first-person shooters after Doom, no more real-time strategy games after Command & Conquer." Cloning also identifies good ideas, Warren says, and through their perpetuation allows them to flourish. In truth, "The problem isn't cloning. It's credit." Cloning, he argues, shows that game designers need stronger identities. If the public just knew which games were clones and which games were originals, they would naturally lean towards purchasing the original. There is, of course, a monetary penalty to cloning. A confused public chooses a game that looks or sounds like a popular title, and pulls money from an "original" title to its clone. In its complaint, Spry Fox is seeking more than $100,000 in damages and an alleged $500,000 in profits that its clone generated. Again, this confusion points to a larger identity problem in games. They are still a faceless occupation, and the lack of personality around their creation makes cloning a more likely problem. Even many independent games, unmoored from the marketing constraints of majors, are marketed by title or by franchise, not by creator or by studio. "I'm not trying to dupe anybody," he says. "I'm just trying to get my films watched. Other people do tie-ins all the time; they're just better at being subtle about it. Another studio might make a giant robot movie that ties into the ‘Transformers' release and call it ‘Robot Wars.' We'll call ours ‘Transmorphers.' "
The point is that no one would mistake Asylum's films for actual blockbusters (in large part due to low-quality FX), but more importantly, the cultural literacy around film is much higher than it is for games. In other industries, copycats are identified as derivatives and aren't given the same credit as the original creators. Both live in the same ecosystem and both may be commercially successful, but only the originator is hailed by critics. The public understands a B-movie as a filmic trope. That's why Michael Bay doesn't feel the monetary pinch from cloners. The public knows his work and knows well enough to stay clear of impostors. In the end, Warren argues that literacy is perhaps the clearest route to minimizing the damage caused by game-cloning. Rather than going after one another for clones, game designers should be targeting the institutions where "credit" is assigned for games and game ideas, e.g. schools, museums, and media outlets. Cloning ideas is not a bad thing, he says, and in fact is in many ways a good, natural part of the creative process. The financial damage done by cloning, primarily felt through lost sales, could be undone significantly if the originators of great ideas are credited properly, as the public will gravitate towards their games rather than knock-offs. In much the same way as buyers still prefer authentic designer clothing to cheapo knock-offs, gamers will continue to prefer Minecraft and Mario to their countless imitators. "An informed public is a powerful public," Warren writes, "and the only way to stop clones is to disgrace them. But that conversation only works if all who play games are onboard, not just those that make them."